Lisa Sparks conducts offender screenings for Human Skills and Resources in Claremore. The agency currently pays 22 outside treatment providers to size up people accused of felonies and recommend ways to keep them on the right side of the law. Human Skills and Resources, a nonprofit in Tulsa, Creek and Rogers counties is one of them. Lisa Sparks, a clinician with the nonprofit, screens people for Rogers County District Court. The screenings typically come after a defendant is arrested and charged but before a judge has ruled. Sparks said the process focuses on three things: Mental health needs, addiction and other life circumstances that put people at risk higher risk of committing crimes. The Legislature tasked the agency with screening people facing felonies in 2012. So far, the program has screened more than 26,000 people in 37 counties. Lawmakers gave the agency an additional $4 million this year to expand the program to every county. Screeners like Sparks will soon give all district courts recommendations on local defendants facing charges. Sparks hopes her reports and recommendations help judges and attorneys consider how they can help defendants repair their lives. Most defendants who are screened are released into court-ordered supervision and possibly treatment, according to agency officials who said courts that use the screening see fewer prison sentences for nonviolent felonies. They said some counties that have the program reduced the number of days people spend in jail. In Pontotoc County, the screenings are also credited with reducing the amount of time defendants have to wait to get into drug court. After screenings, Sparks recommends follow-up evaluations for people struggling with serious mental health conditions, and suggests outpatient treatment for people with drug or alcohol addiction. There are other risk factors Sparks highlights for the court. “Maybe they didn’t finish school, they’re not employed, they don’t have a lot of family or social support,” Sparks said. In those cases, clinicians might recommend ways to help defendants fill those gaps, but Sparks said they’re just suggestions to help courts make decisions. Without the screenings, Sparks thinks defendants wouldn’t get the best possible treatment options because courts wouldn’t know their individual histories. Judges in Rogers and Creek Counties don’t completely agree on the value of the defendant screenings. One judge is a big fan and thinks they should be used more often. Another said the screenings aren’t always reliable, but said more information is always better. Rachel Chandler of Beggs has struggled with a painkiller addiction that started after she broke her back as a teenager. She was arrested in 2013 on four felony drug charges and received probation. She had to take drug tests regularly. Chandler avoided prison after a screening with Human Skills and Resources. Staff recommended drug court, which had stricter rules but more treatment options than her probation program. Chandler messed up in drug court, too. She tested positive for drugs multiple times and didn’t follow the rules. But, Chandler says the report from her screening and her drug court administrator’s willingness to give her one last chance carried a lot of weight with the district attorney’s office. That time Chandler didn’t screw up. She followed the rules and graduated drug court. Now, she’s about to start unsupervised probation and she’s living a stable life with her fiancé, her 3-year-old son and two stepkids. “That one more chance … saved me,” Chandler said. The number of people incarcerated in American prisons is the lowest it's been in decades. 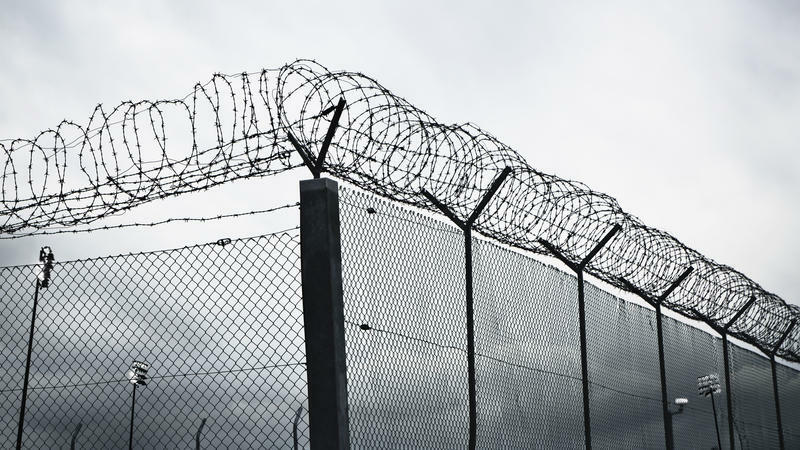 But a new report from The Vera Institute of Justice, a nonprofit research group that wants to limit mass incarceration in the United States, tells a more complex story.